Marigold homes are located in the Cypress Village area in Irvine, California. The Marigold neighborhood is being built by Irvine Pacific and features brand new construction homes in the popular Cypress Village community. Marigold was one of the first neighborhood built in Cypress Village with homes built between 2013 to 2015 with three bedroom floor plans that range in size from 1,840 to 2,100 square feet of living space. These are luxury townhouses that feature attached two car garages, high ceilings, crown molding and open floor plans that combine the great room with the Kitchen area. The Marigold community does have monthly dues and an additional Mello Roos tax associated with the property. 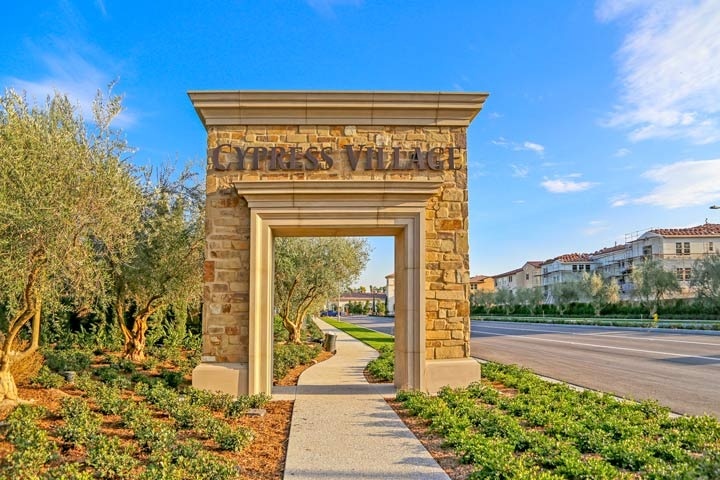 Cypress Village is one of the most exciting new communities in the Irvine area that offers a prime spot near the 133 and 5 freeways. Brand new homes in the greater Cypress Village area are still being built in 2015 and offer a wide variety of amenities and home prices. Below are the current homes for sale and for lease in the Marigold neighborhood. Please contact us at 888-990-7111 for more information on this community and any of the homes listed for sale here.